The United States government will issue a travel restriction on all American citizens entering North Korea. According to US State Department spokeswoman Heather Nauert, the restriction will be published in the Federal Register next week and will come into effect at the end of August. Civilians will then need to seek special validation if they wish to travel to the hermit kingdom. North Korean tour operators were informed of the ban by the Swedish embassy, which functions as the Protective Power for the United States in Pyongyang. Washington has no formal diplomatic ties to North Korea. All US nationals remaining in the country have been told to leave immediately, as the Swedish embassy attempts to determine how many citizens are still there. Due to mounting concerns over the serious risk of arrest and long-term detention under North Korea’s system of law enforcement, the Secretary has authorized a Geographic Travel Restriction on all US nationals’ use of a passport traveling through, or to North Korea. Once in effect, US passports will be invalid for travel to, through, and in North Korea, and individuals will be required to obtain a passport with a special validation in order to travel to or within North Korea. We intend to publish a notice in the Federal Register next week. The restriction will be implemented 30 days after publication. 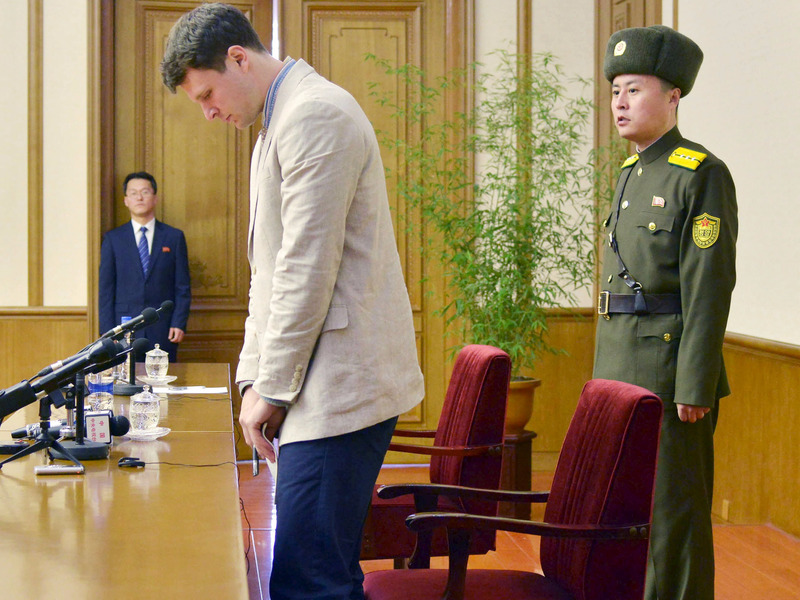 The ban follows the tragic death of American student Otto Warmbier. Warmbier, 22, who spent 17 months in a North Korean jail, passed away just seven days after returning home to the US. The University of Virginia student traveled to Pyongyang from China after signing up for a five-day trip with a Chinese tour company last January. He was arrested at the airport when he attempted to sneak a propaganda poster out of his hotel. After being forced to confess his crime publicly, he was sentenced to 15 years hard labor in a jail notorious for torture. He slipped into a fatal coma as a result of brain damage while imprisoned. The North Korean government attributed the injury to sleeping pills. President Trump condemned North Korea for its brutality and lack of respect for basic human dignity. Following the death of Mr Warmbier, the China-based Young Pioneer Tours company announced that it would no longer take visitors from the US into the country. Earlier today, company spokesman Rowan Beard told BBC News that the State Department’s 30-day grace period would give leeway for any Americans remaining in North Korea as tourists or on humanitarian work. Three US citizens are still being held captive by the reclusive state. Be the first to comment on "US Government To Ban Travel To North Korea"